The Ultimate Nutrition Prostar 100% Whey Protein, Chocolate Cream 2 lbs. is a complete solution developed by Ultimate Nutrition especially for athletes and people who are aiming to build lean body muscles. The supplement contains not only whey proteins, but also essential and non-essential amino acids that are helpful in building muscles after an intense workout. 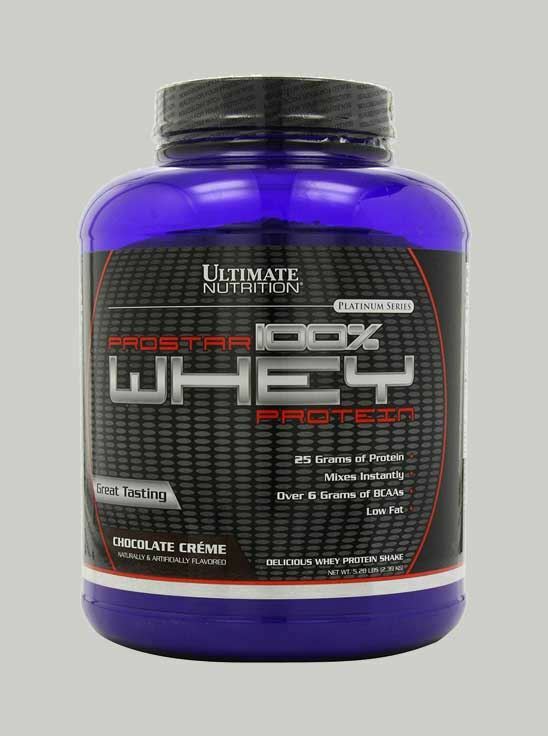 The Ultimate Nutrition Prostar 100% Whey Protein, Chocolate Cream 2 lbs. 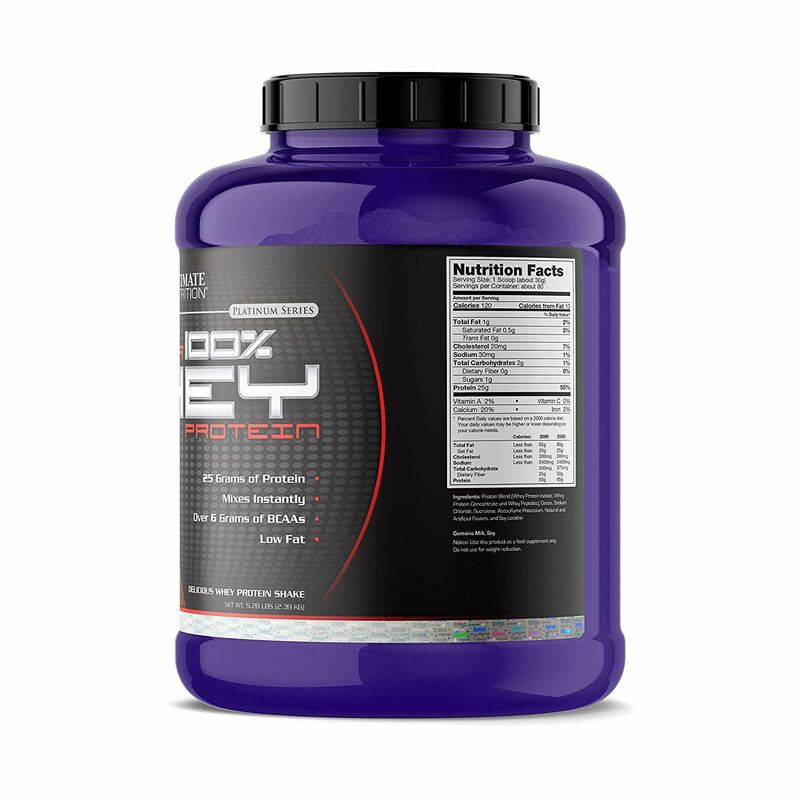 contains special whey proteins, which are a combination of whey protein isolates, whey protein concentrates, and whey peptides. It also contains soy lecithin. Whey proteins are absolutely helpful in losing unwanted fat and increasing muscles. However, it is vital to develop fat-free muscles and strength. Consuming whey protein gives you the desired result of building muscle mass without adding fat. When you are vigorously exercising, your body may make you feel hungry all the time. 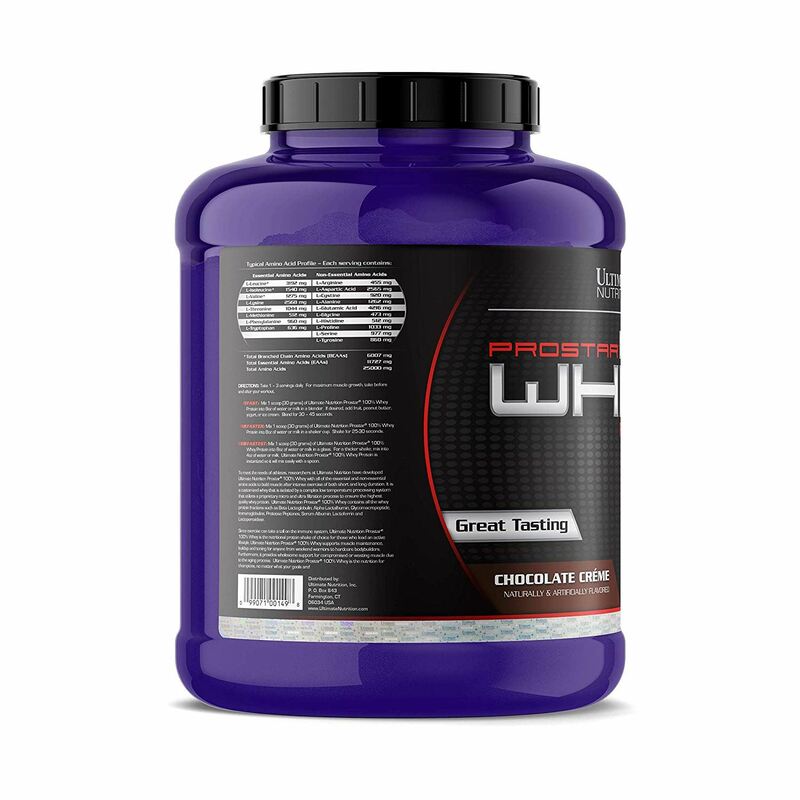 By adding the Ultimate Nutrition Prostar 100% Whey Protein, Chocolate Cream 2 lbs. to your everyday diet after exercising, you can curb the urge to binge eat and add on good calories. The Ultimate Nutrition Prostar 100% Whey Protein, Chocolate Cream 2 lbs. is recommended for both men and women. It comes in chocolate flavour and you can blend it with water or milk to make a delicious drink that can be had both before and after your workout. 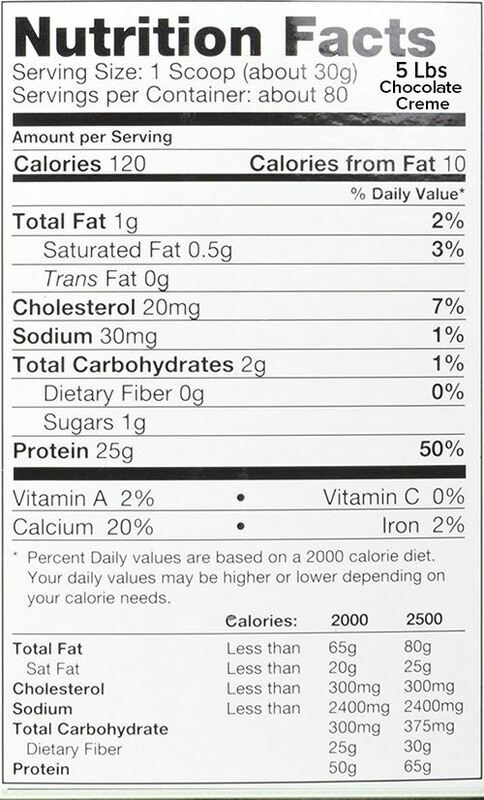 As it contains only 1 g fat per serving, it can be consumed by health- and diet-conscious people. Its strong amino acid profile proves helpful in toning, building and maintaining muscle mass. This supplement supports easy muscle volumisation and recovery post workout.